Ever see the gym in the gym swinging like a monkey from a tree when performing dumbbell curls? Here’s a tip…don’t be that guy. When performing any standing curling movement involving the biceps keep your elbow firmly locked against your side and make sure only your forearm is moving as the exercise is performed. If you really want to isolate the biceps try exercises like the preacher or concentration curl. Muscles are made up of individual muscle fibers that sometimes run in different directions to their attachment points. This is called angle of pennation. Biceps have a fusiform muscle fiber arrangement and using different exercises that hit all angles can stimulate all the biceps muscle fibers involved which equals maximal growth. As an example, you could perform a twisting biceps dumbbell curl and also include a hammer curl in your arm routine. Using super sets will create a higher metabolic stress in the biceps, especially if you have not used this technique before. 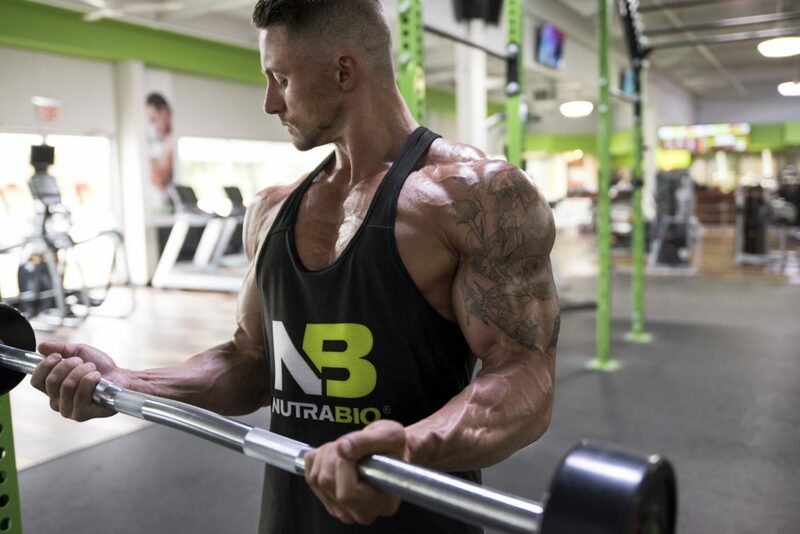 As an example, perform one set of standing barbell curls followed immediately by preacher curls. Rest one minute and repeat this sequence another 2-4 times. Your biceps will be screaming for mercy. Instead of always holding the dumbbells in their centers when you curl, occasionally use an “offset” grip with your thumbs or pinkies pressed up against the sides of the handles. As you lift the dumbbells, your biceps will have to work extra hard to prevent the weights from rotating one way or the other. The harder they work, the more they grow. Blood flow restriction (BFR) involves decreasing blood flow to a working muscle, by application of a wrapping device, such as a Kaatsu device, blood pressure cuff, or knee wraps. This technique is typically used in conjunction with lighter weight (30-50% 1RM) and performed on the legs and arms. Research has shown BFR increases muscle activation, metabolic stress, and cellular swelling. All of which create maximal gains! To perform BFR training use a moderate, snug pressure (6-7 out of 10) and perform 30-15-15-15 reps with 30 seconds of rest between sets while keeping your wraps on for the entire duration of the specific exercise. For your last biceps exercise in a given workout start with a weight that is difficult and perform as many reps as possible until muscular failure. Immediately decrease the weight by 5-10 pounds and perform as many reps until muscular failure again. Repeat this sequence another 2-3 times. Always use a weight where you can perform 6 or more reps but ideally 10-12 before your muscles burn out. Research shows that trying to train biceps with pure strength doesn’t create enough stress for growth. Plus using a weight where you can only squeeze out 3-4 reps will quite possibly wreak havoc on your form (refer to tip #1). Shoot for 3-4 sets of 10-12 reps with 60 seconds rest between each set. Doing one biceps exercise isn’t going to give you the guns of your dreams. Use at least 3-4 different biceps exercises per session and switch them up from time to time. As an example, you could perform barbell curls, hammer curls, preacher curls, and concentration curls. While this tip doesn’t directly involve the biceps, it is important to balance out biceps work with triceps works. Biceps are only one part of the equation to massive arms as the triceps, which consists of three heads, compromises ~75% of your arm. The point being for every biceps exercises you are performing, do an equal amount of triceps exercises. All that bicep work won’t mean squat if you aren’t getting enough protein on a daily basis to help them rebuild and recover. 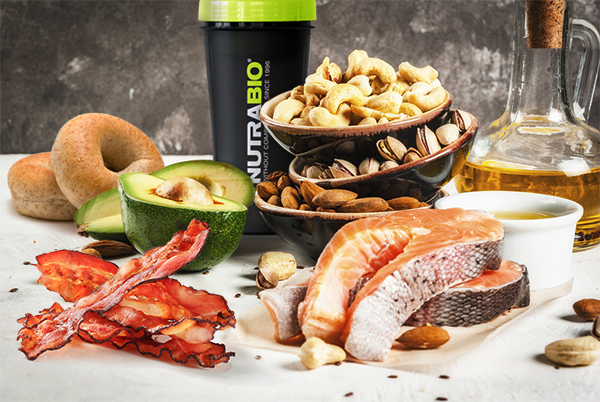 As a rule of thumb try to eat at least 1 gram of protein per pound of body weight daily to maintain a nitrogen positive, anabolic environment. Getting your biceps to grow requires a dedicated training regimen, utilizing proper exercises and training techniques, and staying on top of your diet. Supplementation may also play a role in getting your biceps to bust out quicker. Ingredients such as creatine, amino acids, betaine, and whey protein have all been proven by research to help individuals pack on serious size. This entry was posted in Tips and Advice, Supplement & Meal Plans, Workouts. Bookmark the permalink.